SITOP smart is the high-performance standard power supply for automated machinery and plants with 24 V DC or 12 V DC electronics. Thanks to its high overload capability, even loads with high power demand can be connected without difficulty. 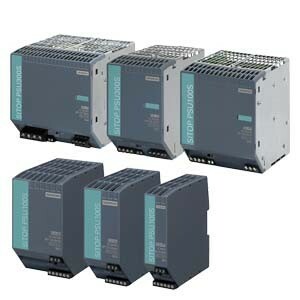 The 24 V power supplies can continuously manage 120% of the rated power. Thanks to their slim design and seamless installation next to laterally mounting devices, the power supplies take up hardly any space on the DIN rail. The high degree of efficiency ensures low energy consumption and minimal heat loss in the control cabinet. The flexible input voltage range allows problem-free connection to 1- and 3-phase networks around the world. Items held in stock are available for next day delivery if ordered by 2pm. Items not in stock will state expected delivery time for each individual part number. 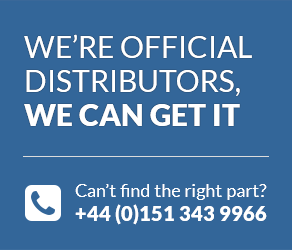 Any products not availale for online purchase are generally on a 2-3 week delivery, please call our sales office on +44 (0) 800 328 8511 for price and delivery. If you wish to return a product for repair, exchange or upgrade please call our sales office on +44 (0) 800 328 8511 to obtain a Returns Note Authorisation (RN) form and a member of staff will instruct you further. Any products returned without an RN will not be processed.